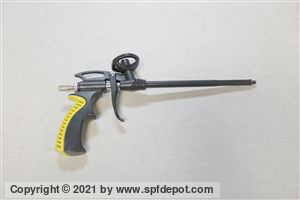 When you’re shopping for a foam dispensing gun, you want to make sure that your DIY spray foam project is as controlled and accurate as possible. 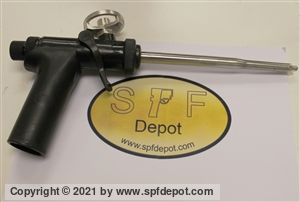 To help you achieve the best results, we offer a wide selection of spray foam can guns that fit Fomo, Touch-n-Seal, and other spray foam insulation brands at substantially lower prices than OEM retailers. 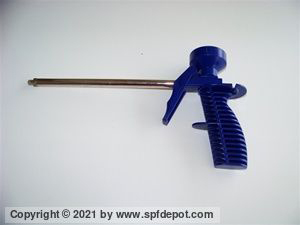 Use these foam guns instead of the straw applicators included with most canned foams. 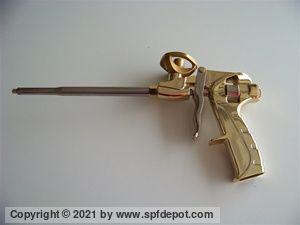 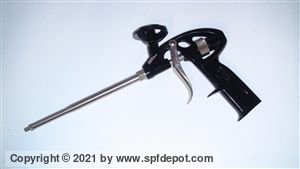 Whether you are looking for a standard FG-091 Professional Gun, a lengthier can spray foam gun like the FG-088 Long Range with 20” Barrel for those hard to reach spaces, or even the 24K Gold Plated Premium Series Foam Gun, you can rest assured that our selection of cheap foam guns are some of the most high quality and durable products on the market. 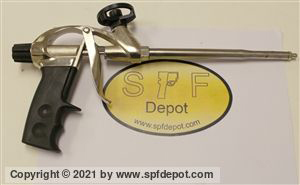 Shop SPF Depot canned spray foam guns today for optimal performance with every spray without breaking the bank.